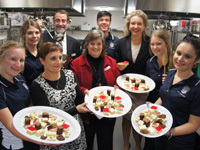 Galen students with Borinya Principal Trish Merlo, Galen Principal Bernard Neal, Hospitality teacher Marlene Kittel and Senator Bridget McKenzie, who officially opened the centre. Galen Catholic College students were able to serve up top quality food made in an industry standard facilities to officials and politicians yesterday. 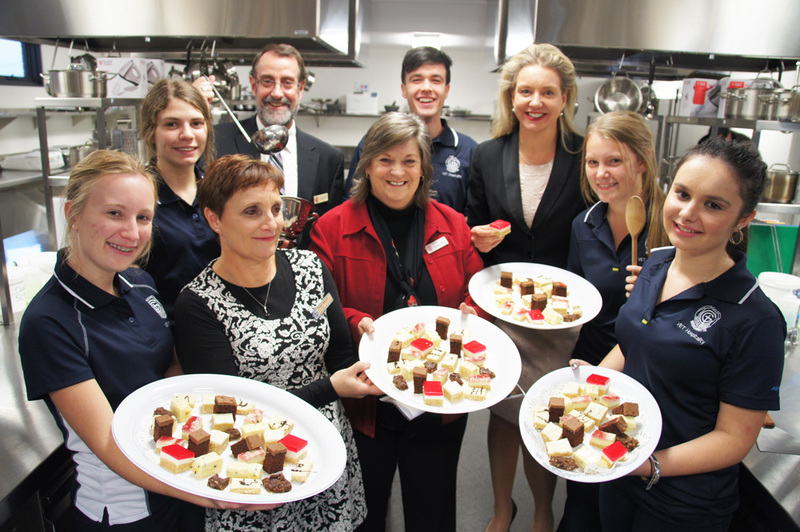 The hospitality centre is part of the Ovens Broken Trade Training Centre, which was officially opened yesterday. The centre spreads across four schools – Galen and Borinya in Wangaratta, Sacred Heart in Yarrawonga and FCJ College in Benalla. Galen’s impressive hospitality centre allows students to gain industry skills and a VET Hospitality qualification to enter the hospitality industry after students complete school. In addition to the hospitality centre and adjoining ‘Soul Food Cafe’, Galen College also features an engineering shed equipped with workshop resources. The trade training facilities simulate the workforce, within the convenience of the school campus. The engineering shed allows hands-on learners to gain VET Building and Construction, and VET Engineering qualifications. Several Galen students are also working towards achieving a Cert II & III in Hairdressing, which is based at Borinya, within walking distance from the Galen campus. Borinya also features an industry standard bakery, providing the opportunity for students to achieve a Cert II & III in Retail Baking. Each facility also employs industry-experienced teachers who are qualified to deliver VET (Vocational Education & Training) courses.